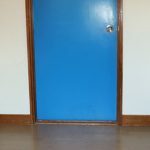 We have 4 private double-bed rooms. The private double-bed rooms are located on the top floor and the rooms have high ceilings, which give them an extra spacious feel. Each room is configured with 2 single, comfy, western style beds, perfect for up to 2 people. The rooms are clean, quiet, spacious and have windows that look out to the yard. Each room is equipped with a safe to keep your important belongings secure. 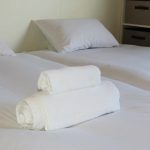 Fresh, clean, hotel grade linen, pillow, and duvet are provided. The toilets and bathrooms are shared with shampoo, conditioner and body soap provided.